We’ve already covered plenty of things you can do with your recyclable plastic bottles, but there are also plenty of fun DIY projects that utilize glass bottles as well. If you love drinking wine, beer, or simply have a lot of leftover glass jars and containers from your weekly groceries, these DIY projects just might inspire you. After all, glass is durable, looks great when used decoratively, and can even be upcycled more than once. For crafting types, it’s incredibly versatile: There are so many interesting uses on this list,it will be hard to choose just one. #17 would give your backyard the best upgrade ever. 01. 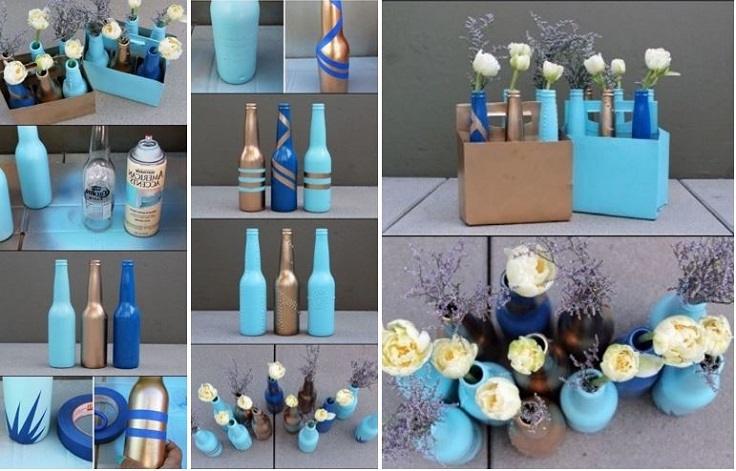 Turn a few bottles into some amazing vases for your flowers. 02. 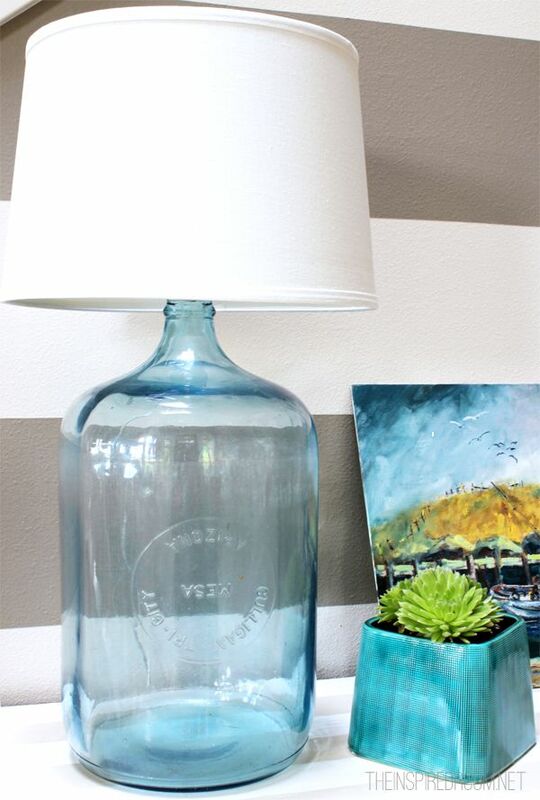 DIY a spectacular bottle lamp. 03. 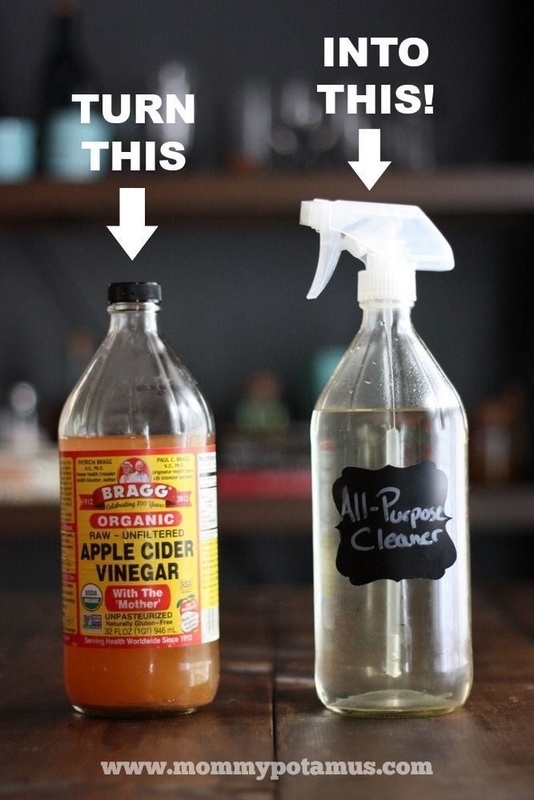 Use an old glass bottle to store all-purpose cleaner. 04. 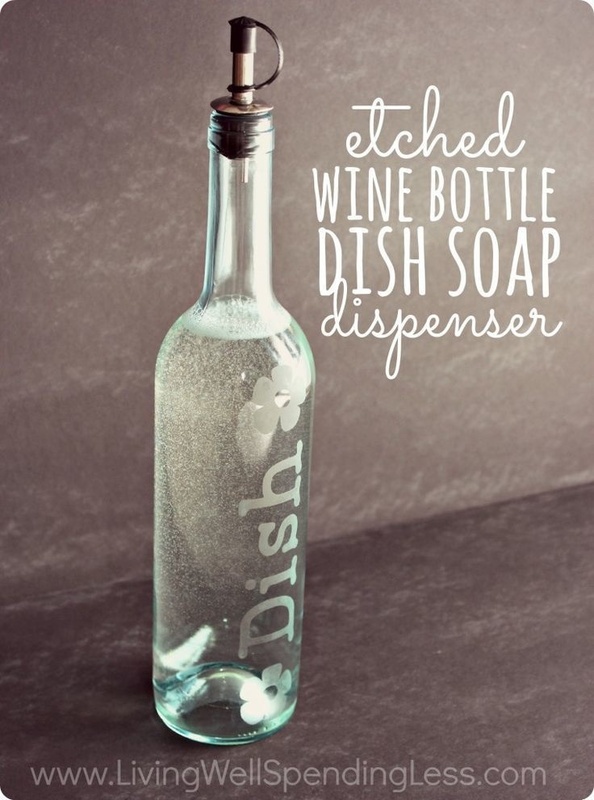 DIY an etched wine bottle dish soap dispenser. 05. 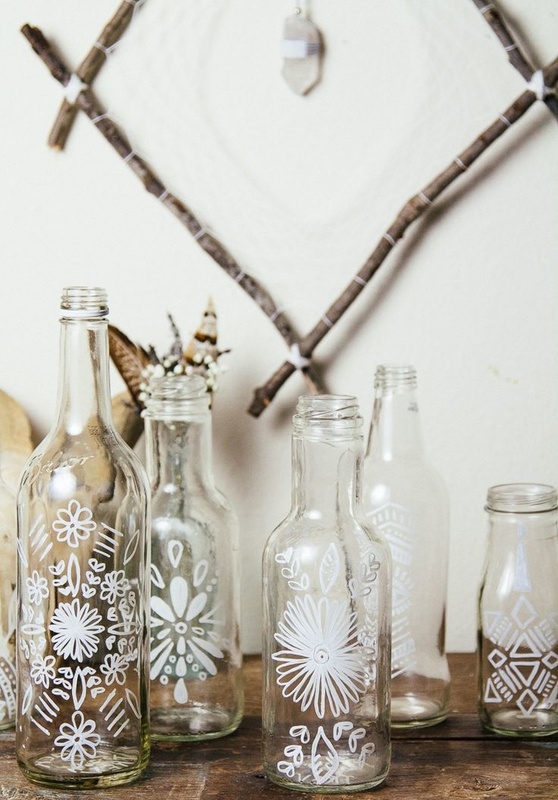 Put together your own DIY bottle art. 06. 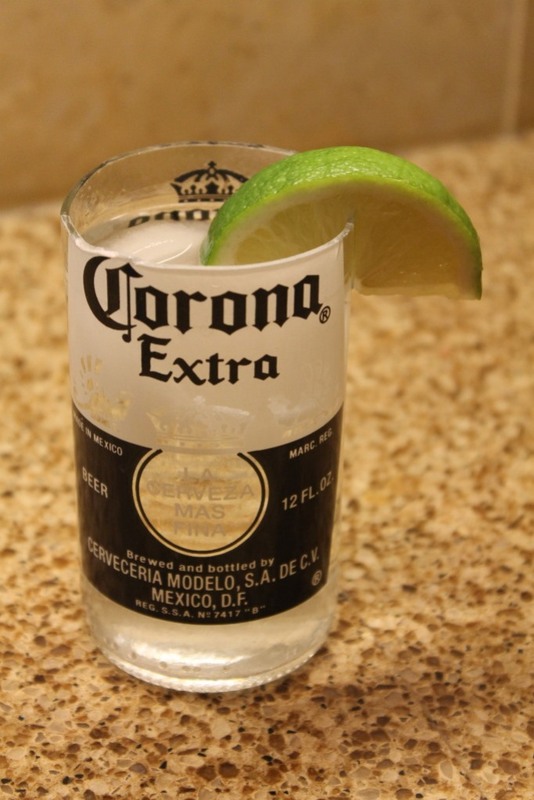 Make your own customized etched glass. 07. Fill a glass bottle with lights for an awesome tabletop decoration. 08. 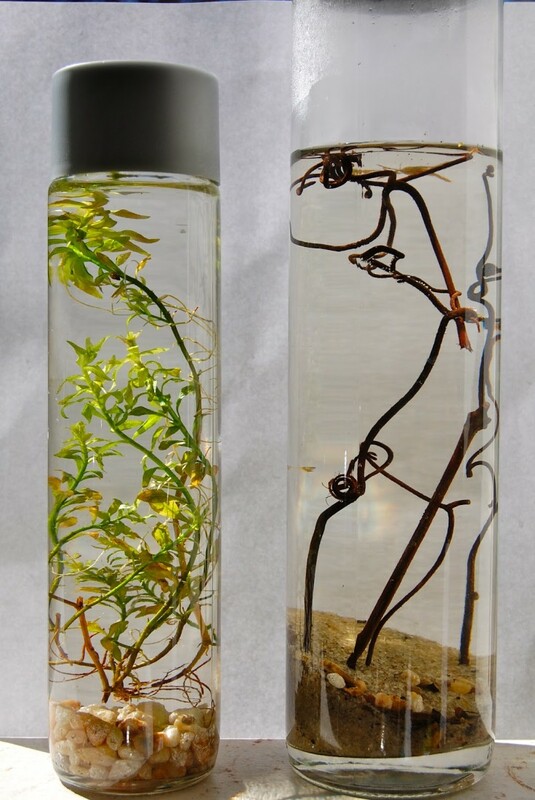 Build an entire aquatic ecosystem in a glass. 09. 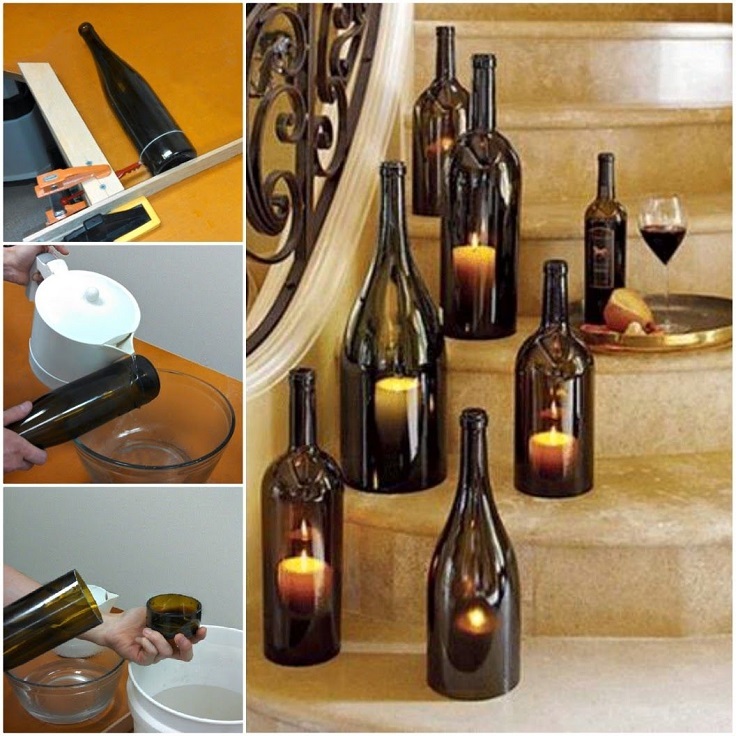 Learn how to cut glass bottles easily and use them as candleholders. 10. 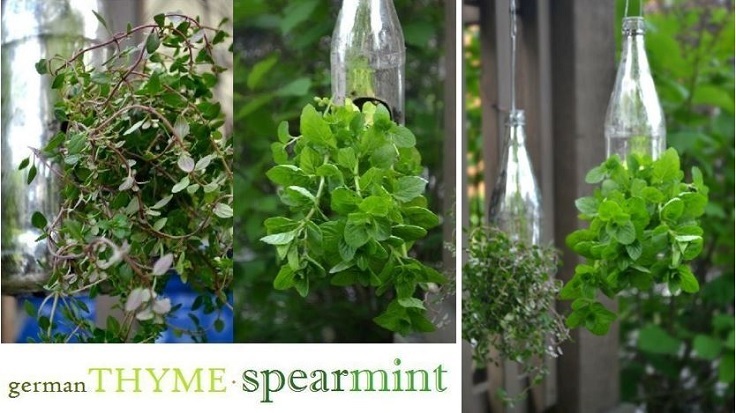 Turn glass bottles into charming hanging herb gardens. 11. 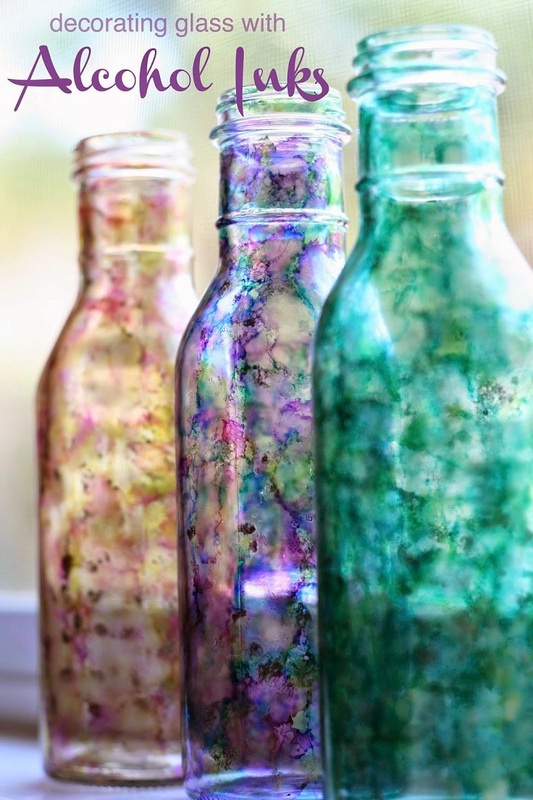 Get creative with these gorgeous jewel-toned glass bottles, made with DIY ink. 12. Automatically water your plants with an upside-down glass bottle filled with water in the soil. 13. 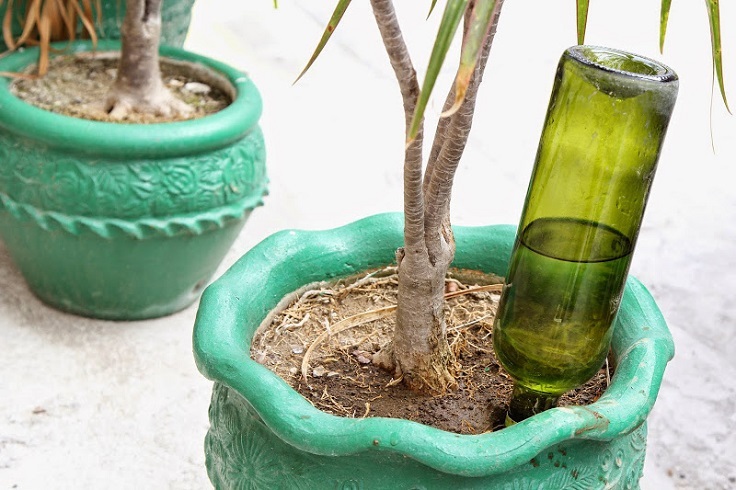 Make a citronella oil lamp out of an old wine bottle. 14. 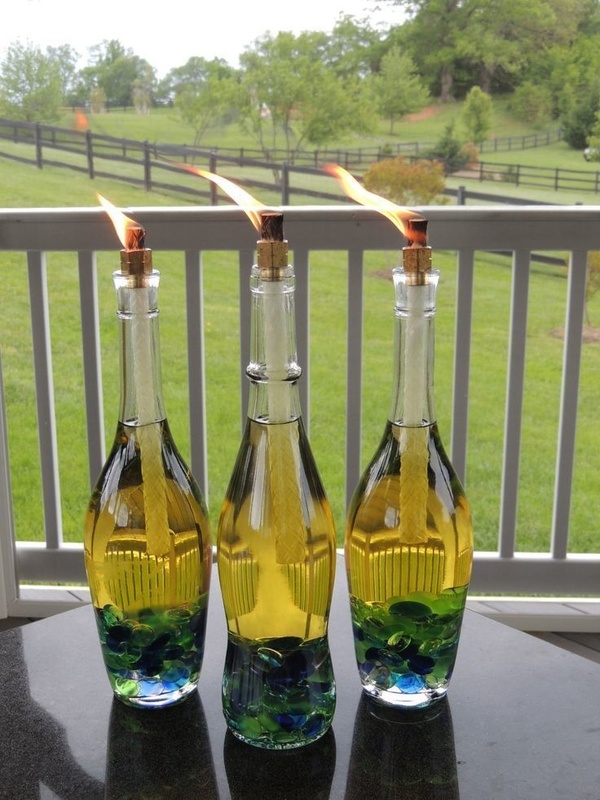 Use glass bottles to make these awesome outdoor torches. 15. Paint glass bottles however you like and use them as vases. 16. 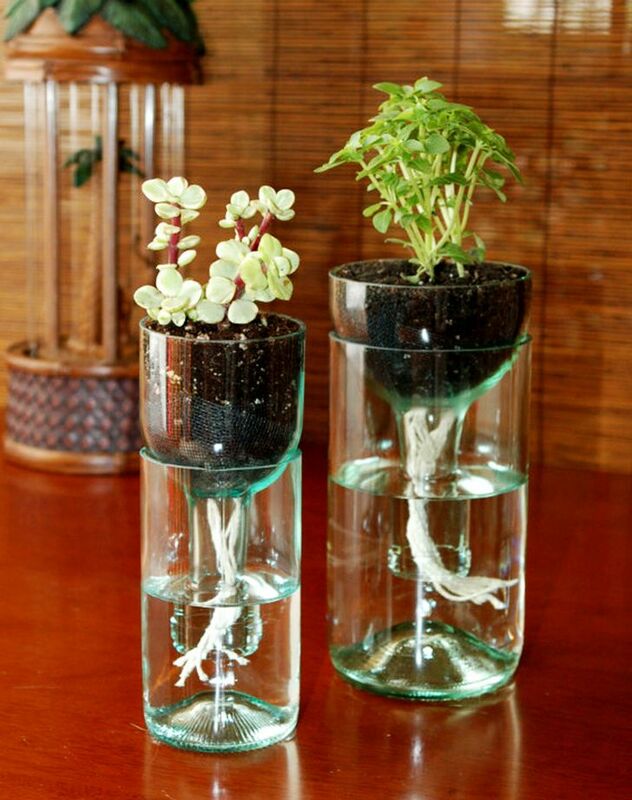 DIY a self-watering bottle planter. 17. 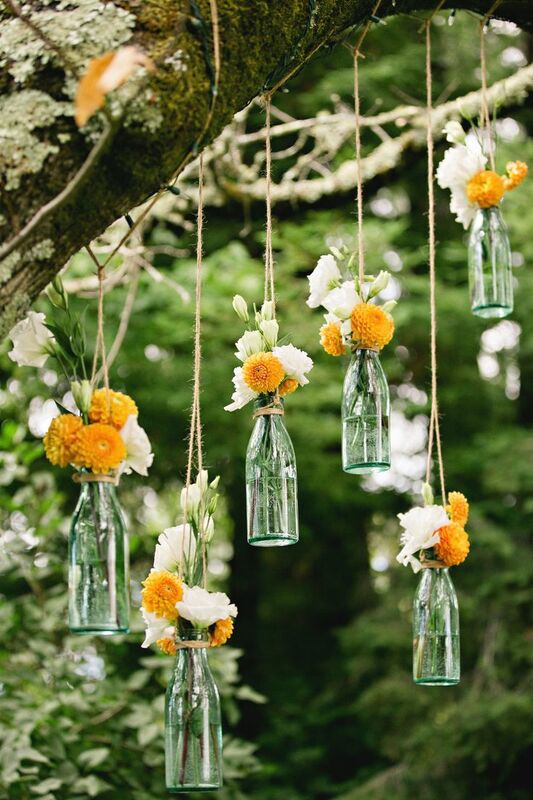 Fill lots of tiny bottles with flowers for some amazing wedding decor. 18. Turn old beer bottles into new beer glasses.